Where was this when I was taking chemistry? 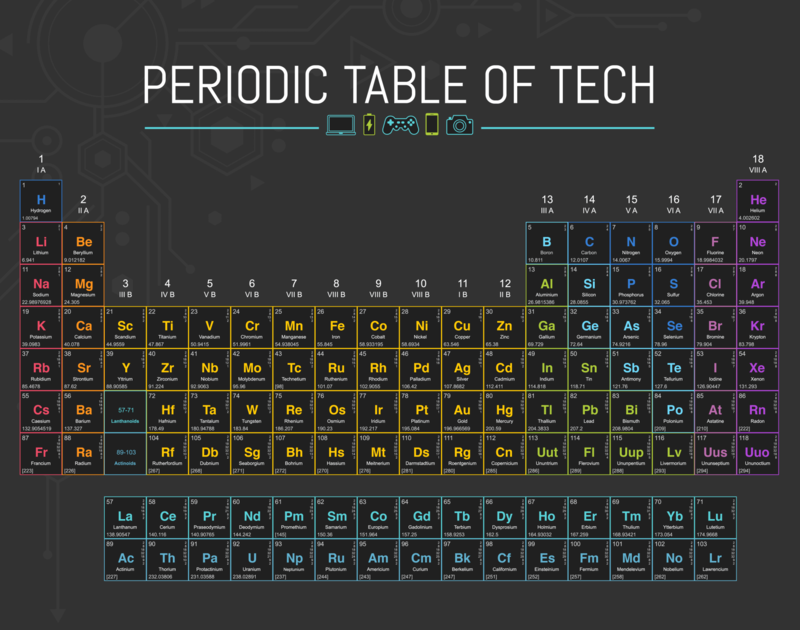 Tech blog The Beacon recently posted an interesting twist on the periodic table. If you weren't asleep in high school chemistry, you'll recall the periodic table as a colorful chart that your teacher wanted you to memorize. It contains all of the elements listed in order of how many protons its atoms contain. Unless you were really into chemistry, you probably found the table frustrating. The Beacon calls its table the Periodic Table of Tech, and I, for one, would have found it much more interesting to study when I was in chemistry. The table is laid out the same as a regular periodic table. It's colored similarly, too. The difference is that it is interactive and each element is linked to a brief description that includes how that element is used in the tech industry. It's a pretty cool little chart. If you get a second, check it out.